I prefer not to think too much about an experience beforehand. Nevertheless, many romanticized thoughts snuck into my head as well as resided there as our class met to prepare for our moments in Zambia, every Monday in the spring semester. Of course, my reoccurring hope for anywhere I go, is that I will notice an older woman sitting somewhere by herself, plop right on down next to her, exchange greetings and introductions, and after asking her a few too many questions about her life, proceed to sit in mostly silence, with an occasional wise or absolutely hilarious (certainly nothing in between), comment spoken by my new friend. Those who know me well know that I enjoy sharing conversations and silence with older folk. Another reoccurring hope I did not realize I was harvesting until later related to my homestay. It is not that I had planned out the entirety of the moments we would share in detail (that would just be crazy), I simply planned out what I thought was a fairly obtainable situation. Obviously, I would be nervous at first, then—immediately upon meeting the host family—be welcomed into their modest home, sit with them (we would all gather around and probably sit in a circle at a table or on the floor, who cares) and have beautiful conversation. There would be wonderful moments of silence, they would ask me all about me, as I they, and most importantly we would discuss the things of faith and the soul within the first half hour. We would laugh, we would sit in silence and fellowship with one another comfortably. I would never want to leave Zambia afterwards probably and they would wish me not to go and demand I come back. We would be kindred spirits forever, easily. Yes, I knew not all families were like this in Zambezi. I did. I had heard people that had gone before me tell me about countless families who have television and phones. Families who have beds, parents with college degrees, and etc., sure. Even though I told myself I knew this, I could not help but hope my experience would be the one in which the grandma crawled into bed with me (that was a moment that happened one year). But, as Sylvia, me and Josh’s homestay mom, showed us her one-room home, with a big television flashing at us as she told us about her love for Disney Channel and as she was fixated on her phone while Josh and I invited her seemingly timid cousins, Chikaninu and Likoji, into a game of go fish (thank goodness I brought cards J, sorry family I took the star wars cards, I did not ask, and those will not be returning, yes my apologies), I could not help but feel a little disappointed. That is where I began to realize the image I had painted in my mind of how the homestay would go. This disappointment lingered and grew as the television in her aunt and uncle’s living room blasted United States pop songs, during our card game with their kids and during breakfast with Mr. and Mrs. Micheyi. I could not help but feel the deep relationships I was hoping to develop from this experience were tainted by stupid stupid Cardi B. I did not realize it fully then, I was trying to make the best of the situation and to get to know the wonderful people who were hosting us. But it was not what I had imagined. And although I ‘knew’ better, I still allowed those thoughts to develop into hopes and excitement that soon led to disappointment. Overall, there were many wonderful moments created during the homestay. The munchkins warmed up to Josh and me, we played many rounds of cards, Mrs. Micheyi helped us out with our Luvale, I had to quickly disarm one-year-old Lumbanji from the huge knife he was holding, we laughed with Sylvia at her love for Disney, we discussed the similarities and differences of the northwest and Zambezi, and I must admit my body was filled with warmth when we introduced ourselves to the congregation our first Sunday and I spotted Chikaninu say my name and smile and wave at me. After mass, our host family asked us to return and Josh and I are planning on going tomorrow to visit with them and hopefully Sylvia will teach us a new card game as she promised. My hopes and expectations both encouraged preconceived notions about a family I had not met yet and led to my own disappointment. While such thinking can be detrimental, it is impossible to avoid such thoughts. Likewise, my host family certainly had ideas about me before I arrived. Furthermore, one’s power resides in the ability to recognize that one’s own expectations are unavoidable and observe that their disappointment most likely derives from expectations. I knew this concept in theory before this experience and yet I fell into the same trap. Therefore, this experience serves as a beautiful reminder to continue to guard my heart, disengage silly thoughts, and question my feelings. Fortunately, this is a lifelong process J.
Greetings – I look so forward to daily mail from you all. Your words are inspiring, thought-provoking and insightful. I like the photos too! Can’t wait to see dozens more when you return home. Know that we think of you often throughout the days. It sounds like you have all started to settle in and become one of the many beings that have enjoyed the convent. Even though I was in Zambezi a few years ago, your words quickly bring me back to my room with all my pet roaches and the warm sand on the roads. It is hard to me to put faces to names these days, but from what I’ve heard, you are a strong team of individuals. I hope you all begin to find your place in Zambezi and embrace the challenges and opportunities. Anyway, I am excited to have an opportunity to connect with Gonzaga again through this wonderful blog. I look forward to your stories and adventures. Jeff – my time in your writing traveler course has been on my mind a lot this year as I have taught (to the best of my ability) 6th grade humanities. Thank you for pushing me to write. I was going to email you this, but I know you love the attention!!! A world away and Disney still finds you. You are all making home a bigger place. Keep up the good work. Lexi- What a beautiful reflection on the importance of recognizing our own expectations. I admire your courage in sharing your disappointment and the expectations that said disappointment came from. It is not always easy to recognize this, yet alone admit it. Thank you for doing so. Morgan- I absolutely loved your post about the joy and kindness that Mama Violet has already shown you. Thank you for reminding all of us readers of her gentle spirit and her ability to make Zambezi a home for so many chindeles. Sending my love. Kisu mwane, friends. We are all a work in progress. We all try, some days harder than others. Embrace your beautiful journey. Disney does sound like a funny surprise. Thank you for your willingness to share so honestly. It’s vulnerable to name and publicize areas of growth within ourselves. The plasticity of your mindset towards your experiences shows great maturity. Your reflections will continue to mold and develop long after you leave Zambezi too. You are so right about this being a lifelong process. The hope is that we are never done learning! My GU roommate lived in Spokane, so we had many visits to his parents’ house. One of my fond memories from those visits was playing a variety of card games. The entire family participated. Your post brings to mind memories of the personalities and wit shared during the highs and lows of those card games. I can only imagine how strange it would be to walk into your home stay and have The Disney Channel playing (and I’m a big Disney fan). How wise you are to realize that it’s impossible to avoid preconceived notions. I hope you have your silent moment with an elder before you leave..
Ahhh Lexers!! What a classic you photo haha I have been waiting patiently to hear a blog post from you or Gracie K and it’s finally here. I hope you are soaking in and taking advantage of all those awkward conversations/moments because I know that is what you do best! I remember talking to you about being in Zambia this past fall and now you are finally there. How crazy!? I hope you are enjoying every second of your time there so far and taking in all the good along with the bad. I wish I could be there with you all right now! I’m just today returning home from my own little European adventure and am excited to read more posts! Hope classes are going well. I would say smoothly but many of us know that is never the case during the first few days which is what makes it so great. Sending all my love to you Lexers!! P.S. some one give Gracie K, Mamma Kris and Miss Anna a big hug for me! Thinking of you and missing you all!!! Lexi – It’s great, eye-opening, and inspiring to read about your experience! Devon- nice photo! Can’t wait to hear more stories and see more photos when you’re home. Thinking of you! To those reading, I can confirm that Lexi actively seeks older women sitting alone in corners – for she has does this with my own grandma who still, to this day, sings her praises. Disappointment, while easy to feel isn’t as easy to admit. Thank you for sharing with such humility and grace (in true Lexi Buhler fashion). How we resolve these ongoing conflicts between reality and ideas remains a mystery – but what great teaching moments surface from them. Thinking of you and those dusty roads often and with love. Such a nice reflection. Sometimes preconceptions can lead to disappointment, and sometimes they lead to deeper understanding. It sounds like you’ve chosen the latter. Keep putting one foot in front of the other! Like your family and friends, we were excited to see your post! We loved reading about the deck of cards, your time with the children and elders. 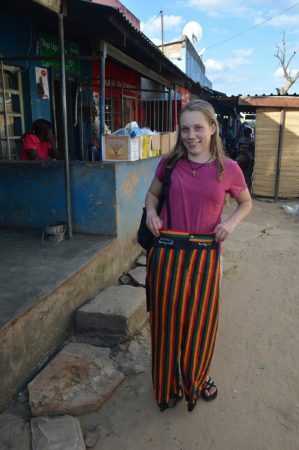 Each day will bring new challenges or moments of celebration or “ah ha” that either you or others in the group may experience, as we learned from Meg’s Gonzaga in Zambezi memorable study abroad. This is just one more opportunity you have as part of Zag Nation, to learn, grow and go forth to make positive changes and share your love and passion with others. We look forward to all the blog posts and wish you you all blessings. * Sorry if u get this message twice. We r having some technical difficulties posting today.